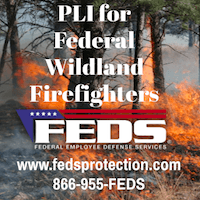 Two people were killed and one was injured March 30 when a helicopter crashed while working on a prescribed fire on the Desoto National Forest in southern Mississippi. 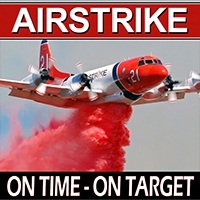 More information is at Fire Aviation. The mother of one of the firefighters killed in the crash of the Carson-owned helicopter has been following very closely the NTSB and criminal investigations into the crash that killed her son, Scott Charlson, six other firefighters, and two air crew members. 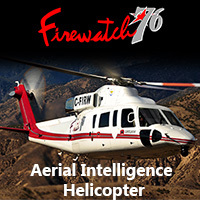 Both investigations agreed that Carson Helicopters intentionally falsified documents about the performance of their helicopters which led the U.S. Forest Service and the flight crew to erroneously believe the Sikorsky S-61N could carry the load of firefighters when it attempted to lift off from a helispot on the Iron 44 Fire in northern California in 2008. The helicopter crashed and burned as it struggled to become airborne, killing nine people. Last week a federal grand jury in Medford, Oregon indicted Steven Metheny, 42, former Vice President of Carson Helicopters, and Levi Phillips, 45, the former maintenance chief of the company, for charges which could earn them 20 or more years in federal prison if convicted. “I am very thankful the criminal investigation was pursued. 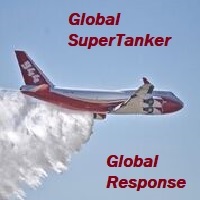 While it does not bring our loved ones back or change the heartache and emotional torture surviving firefighters and families have had to endure the past 4 ½ years it does confirm some of the things we have been told since the crash. Besides the sentences the Federal Government will hand out I would like for these two men, Steve Methany and Levi Phillips to sit before the family and friends (one family at a time) of Shawn Blazer, Scott Charlson, Matt Hammer, David Steele, Caleb Renno, Edrick Gomez, Bryan Rich, Roark Schwanenberg and Jim Ramage and hear how their lives have changed since 7:45 p.m. August 5, 2008. I would like for them to sit before Bill Coultas, Mike Brown, Jon Frohreich and Rick Schroeder and their families and hear how their lives changed that night. I would like them to sit before the firefighters that were on the mountain at the time of the crash and listen how their lives changed that night. I would like for them to sit before Grayback Forestry, US Forest Service, Cal-Fire and the entire firefighter brotherhood and hear what they have to say about that fateful night. We were told this crash was preventable and predictable on many levels and sadly we have found that to be true. Initially when I was told about the crash – foul play was not what came to my mind. Accidents happen. But this was no accident and it complicates the grief we are experiencing. Nothing that takes place in the future can bring our loved ones back to us or stop the emotional torment that is present in so many minds at this very moment because of the criminal acts these two men committed over and over again – even after the crash. No remorse – it was all about them, their greed and their life. An Australian rules football team had to be evacuated by helicopters when they found themselves out ahead of an advancing bushfire in Victoria near Mount Feathertop. According to the Border Mail, 36 members of the Gippsland Power Football team were training at high altitude and had no choice but to be flown out by helicopters when a bushfre approached their location. They were participating in a preseason training camp at Mount Feathertop, which is 6,300 feet (1,922 M) above sea level. The fire that threatened the Gippsland Power Football Club. Check out what appears to be flames hundreds of feet above the ground, and a spot fire quite some distance in front of the fire. …[Team doctor Wayne] Thompson said he and the team were on the 22 kilometre Razorback Trail up the mountain and as they started climbing, smoke started getting thicker. “There was just smoke and all of a sudden the smoke got a bit thicker and then we could see flames,” Mr Thompson said. Flames were about four kilometres away and with mobile coverage, they were able to keep in contact with emergency services while a helicopter hovered overhead monitoring the fire. About 3.30pm and with flames only 100 metres away, a bigger helicopter was bought in to airlift 15 people at a time from a track between Federation Hut and Mount Feathertop. They were taken to Hotham Village along with other hikers that had been rescued. Mr Thompson said constant contact with emergency services kept any panic at bay. All of these photos are from the football club’s Facebook page. An injured firefighter is moved using a “conveyor belt” technique on the Deer Park Fire. Screen grab from the video. In August of 2010 Wildfire Today covered the Facilitated Learning Analysis about a serious injury complicated by a helicopter incident that occurred on the Deer Park Fire on the Sawtooth National Forest in central Idaho. 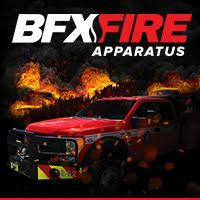 On that fire a member of the Flathead Hotshots suffered a broken femur caused by a rolling boulder. The initial treatment and extraction was complex and became an incident within an incident. A Life Flight helicopter that was going to fly him out landed on the edge of a small helispot and tipped back, resting on its enclosed tail rotor, in danger of sliding down a steep slope. This put the helicopter and the helispot out of commission — thus becoming an incident within an incident, within an incident. The Life Flight helicopter on the Deer Park Fire, after landing, and in danger of sliding down a steep slope. Screen grab from the video. 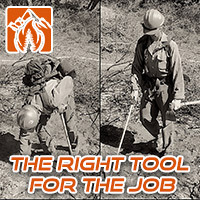 The fire overhead, the Flathead Hotshots, and some smokejumpers on the fire organized to deal effectively with these three incidents — the fire, the medical emergency, and the aviation incident, and the successful results became a case study that firefighters can learn from. 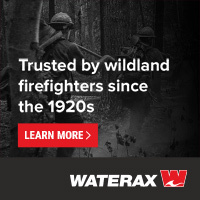 The National Interagency Fire Center produced a video which features three of the firefighters involved in the incident, plus a telephone interview with the injured hotshot. The video includes a lot of photographs and video shot by firefighters during the incident. It is very well done and is worth 20 minutes of your time. 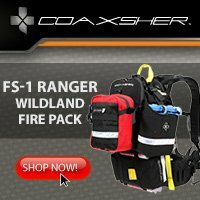 The Flathead Hotshots have been mentioned at least two other times on Wildfire Today. In 2008 several members of the crew were struck by lightning. 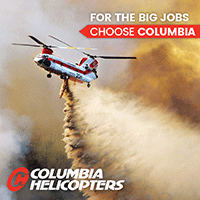 And last August they turned down an assignment on the Steep Corner Fire near Orofino, Idaho because of unresolved safety issues, including falling snags. The next day Anne Veseth, a 20-year-old firefighter from Moscow, Idaho working on the fire was killed by a falling tree.